After spending years as the Kitty Cats ... the Wild Cats? the Bobcats! 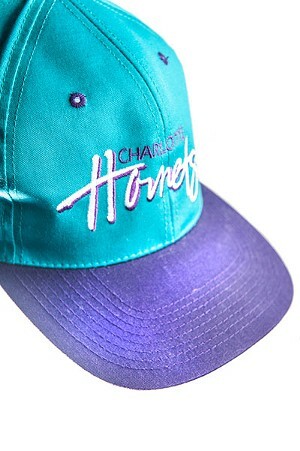 — sorry, that’s just how dead they are to us — the Hornets name and the purple and teal from the team’s heyday have returned. If you’re not a native, don’t drop fat stacks for the team’s new gear. Hit up Goodwill or Salvation Army for some old windbreakers, snapbacks and smelly jerseys.